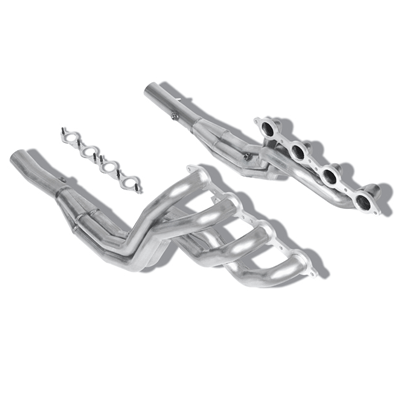 Add even more performance to your BORLA Cat-Back exhaust with a set of Stainless Steel headers. Borla headers are built with race-winning technology from premium Aircraft-Quality T-304 Stainless Steel, an alloy superior to T-400 series knockoffs, to give you the absolute best in performance, sound and durability. Ultra-smooth mandrel bends and precision computer-controlled CNC manufacturing give you maximum flow, and power. **$9.99 Shipping Rate Does NOT Apply to this item** No one else gives you the bold clean styling of our Aftermarket Dress Ups, Suspension and Performance Parts for your American Muscle Car like UPR Products! Fits these Vehicles: 2010 Chevrolet Camaro SS LS3 L99 6.2L V8 6 Speed Automatic.